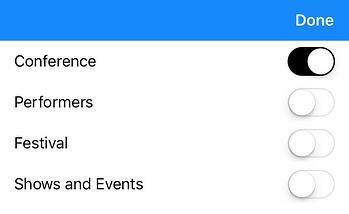 Click the icon on the top left to reach the menu. 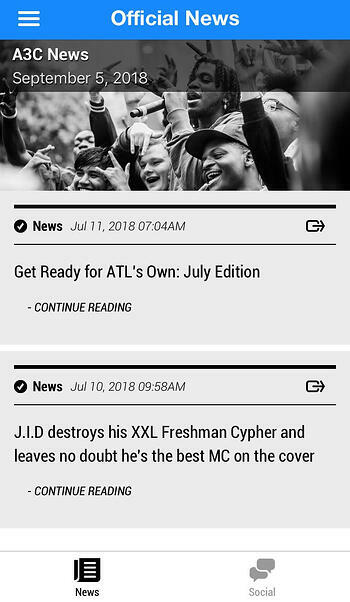 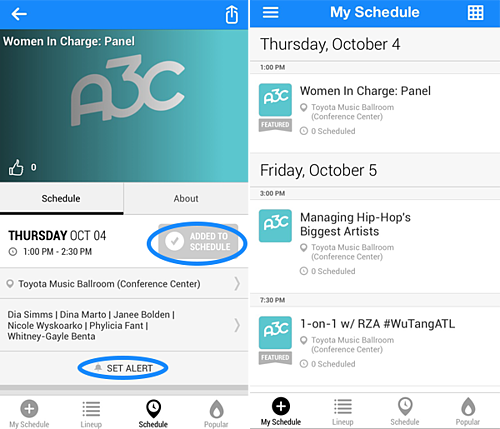 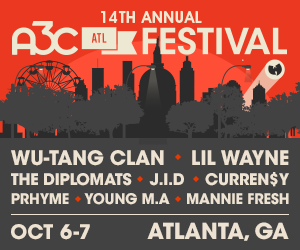 Explore A3C's Festival, Venues, Conference Centers and much more. 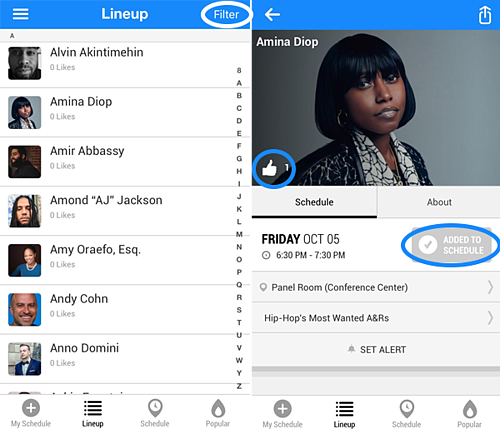 You can view in both list and grid layout. 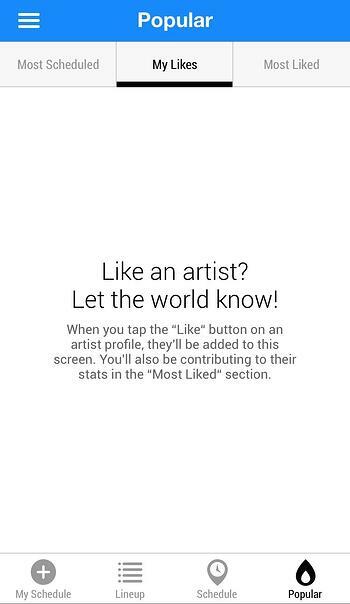 If you 'Like' an artist or speaker they will be included in 'My Likes' on the 'Popular' tab. 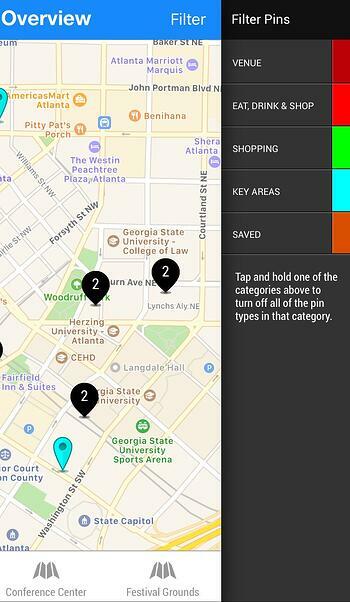 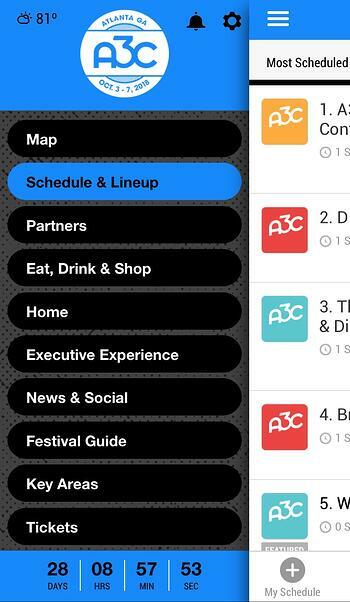 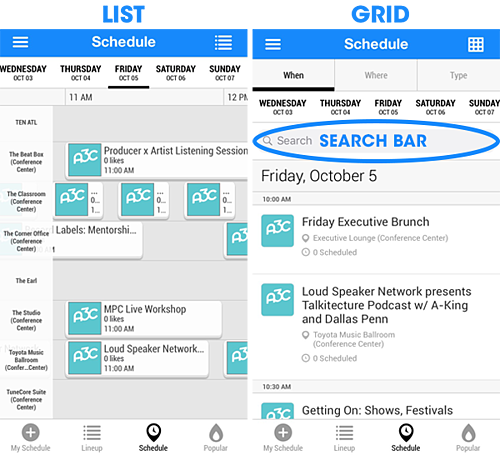 You can 'Filter' your search by Festival, Conference or Shows & Events.